These sweet potatoes look so yummy! This would make a delicous healthy meal! so much goodness packed in this dish!!! 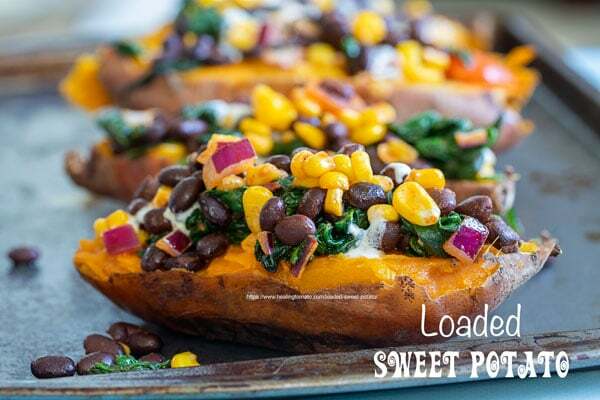 Sweet potatoes are a favorite and this looks like it has everything you could want to eat with it! I am not a huge sweet potato fan, but my husband loves them. I made a modified version of this recipe and we both absolutely loved it! Thank you for posting this amazing idea! 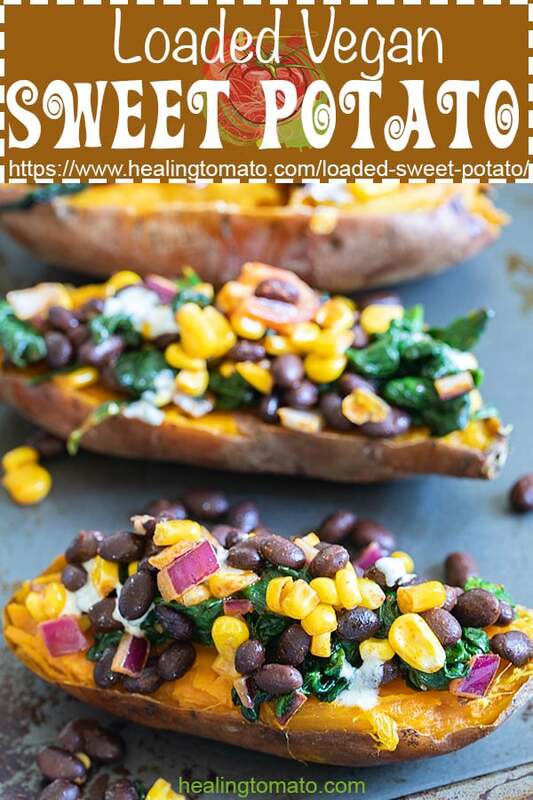 I love sweet potato and this looks healthy and delicious Rini! Pinned and shared! 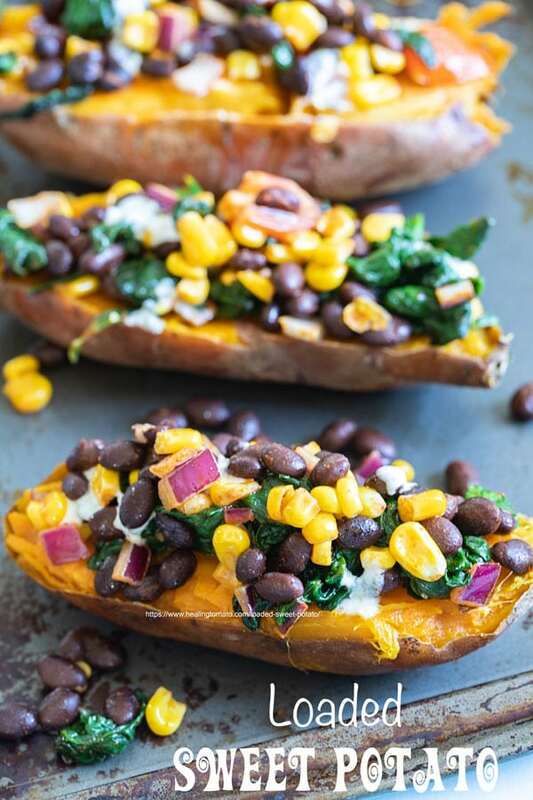 these sweet potatoes look amazing! Now that is one pretty sweet potato! All those colors are simply gorgeous! Beautiful dish. Literally drooling right now…. 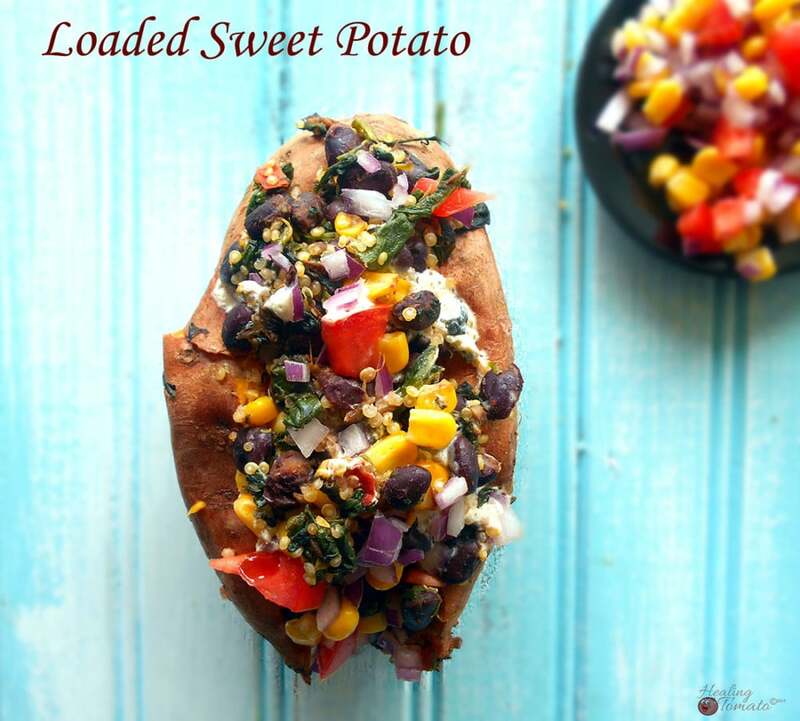 I am obsessed with sweet potato and always looking for healthy ways to spice it up. This recipe looks perfect for work! Printing! Yum! This looks so filling and delicious. Sweet potatoes are so good. Tweeting and pinning! Somehow by just reading the title of this post, I had a feeling I’d see my favorite ingredient 🙂 Love that you used quinoa to load up these sweet potatoes! What a gorgeous recipe! I adore sweet potatoes, but haven’t tried them stuffed. Definitely pinning this one for later! Thank you, Alisa. I appreciate you pinning it. YUM! 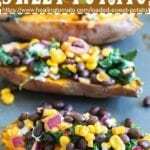 Sweet potatoes are a college girl’s best friend, so I’m definitely pinning the recipe! Thank you, Liv. It is comfort food, too. These are gorgeous! 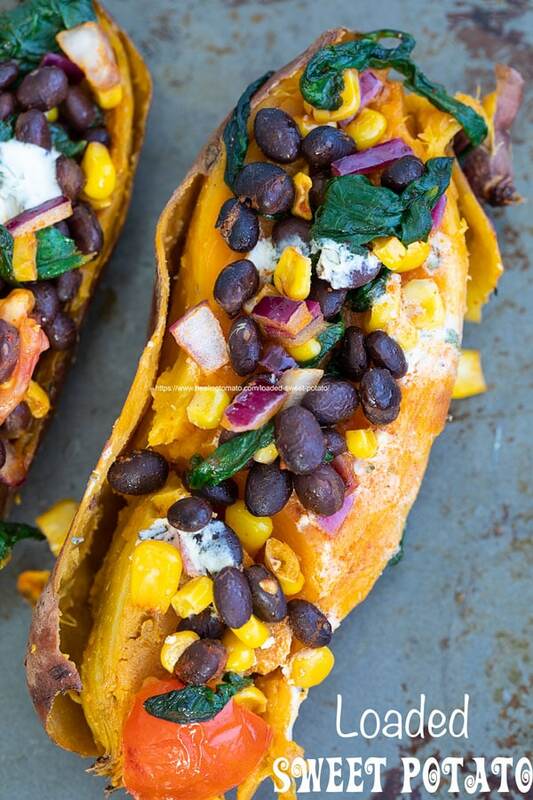 I love the combination of sweet potatoes and black beans. I’ve never loaded up a sweet potato before and I’m not sure why? This looks amazing and such an easy dinner suggestion! Thank you, Lisa. I think you will like it. 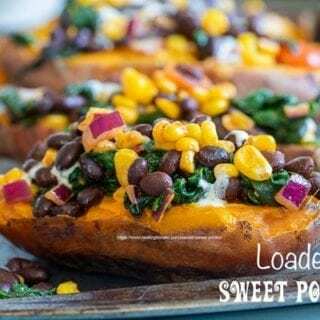 I love sweet potatoes, and you’ve packed this one with so much healthy goodness, there’s no way I can NOT make this recipe! Thank you, Becca. I would love to see your take on this recipe. 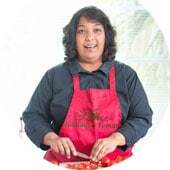 You are very talented and I am sure your recipe will turn out great. Thank you, Kacey. I really appreciate the kind words. You are very sweet. That is one loaded potato. A sweet potato is my go-to when I want a baked potato, I just like it better than white potatoes. This is a recipe I need to try. Thank you, Janette. I find sweet potato “meatier” than white potatoes. They are also easier to work with. I love the black beans and tomatoes in these loaded babies! Very nice job with this one. I want one….now please! Seriously, this looks quite amazing!